My name is Alenka. I am 38 years old (today) and I have a triplets. Two boys Martin and Matevzs and girl named Ursula. They are in the 3 th grade now. They are also in music school. 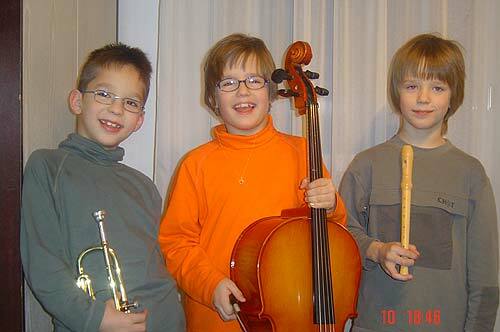 Ursula plays cello (second year), Martin flute and Matevz trumpet (first year). They are wery talented (I thing so). Wee are living in Slovenia - Europe. 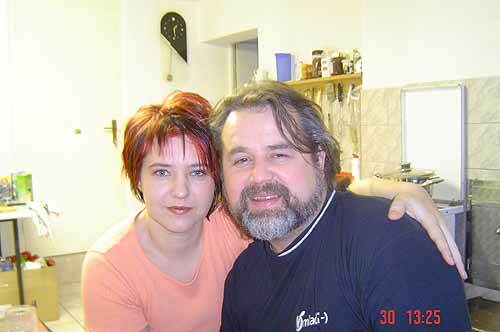 Alenka - triplet mom , 17.12.2004г. Родители тройняшек Martin, Matevzs, Ursula.